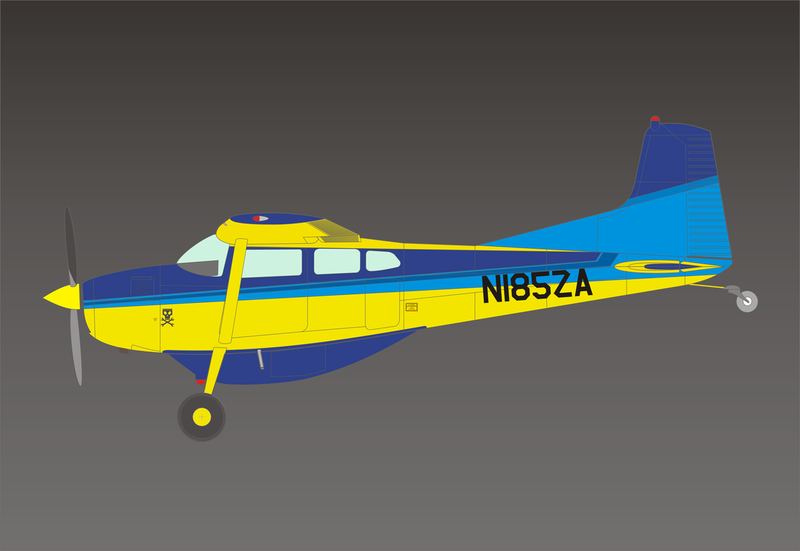 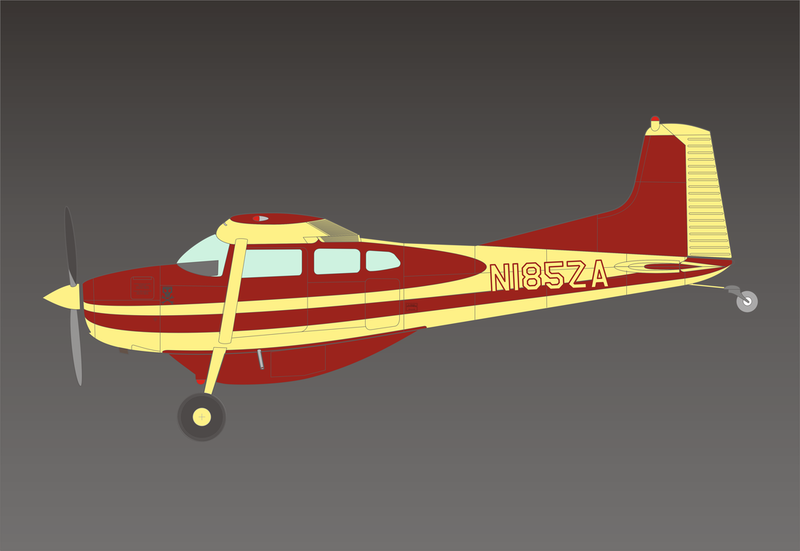 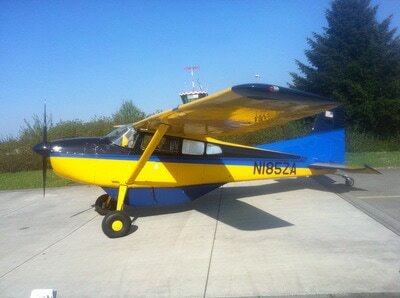 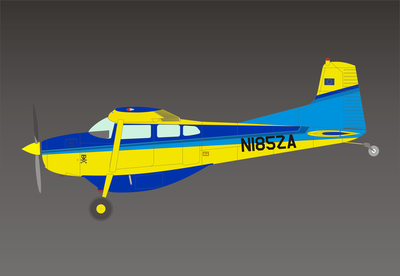 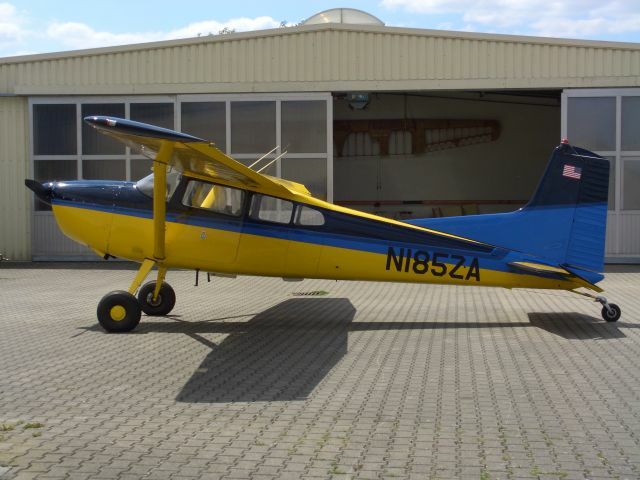 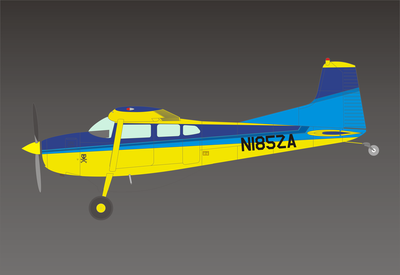 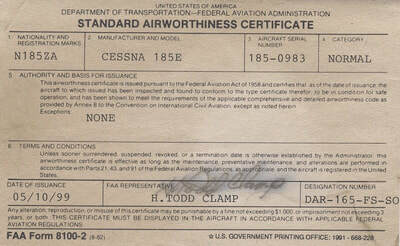 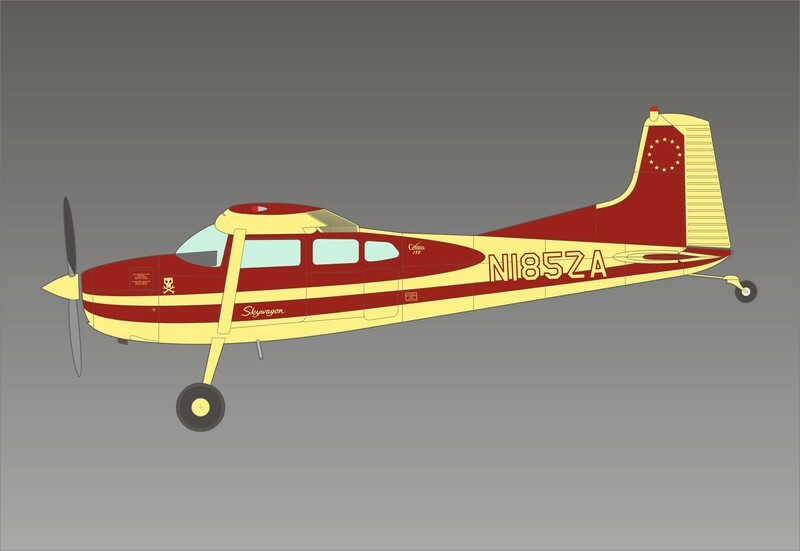 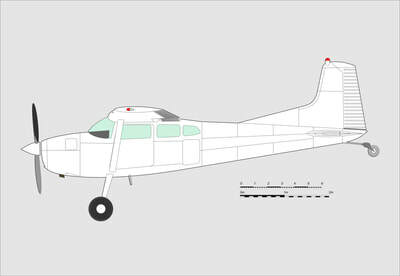 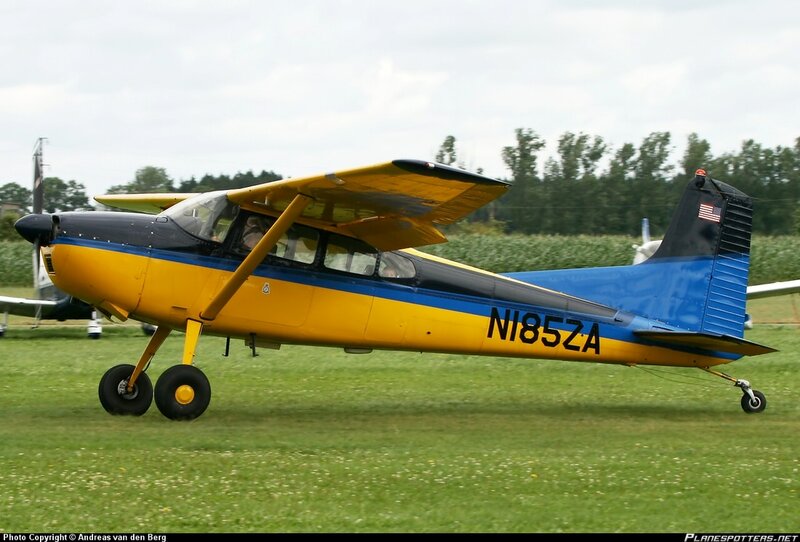 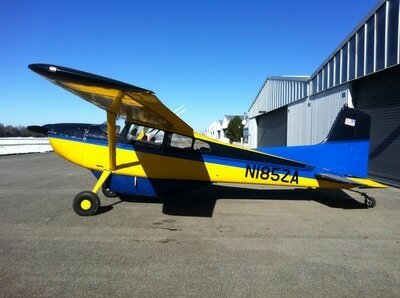 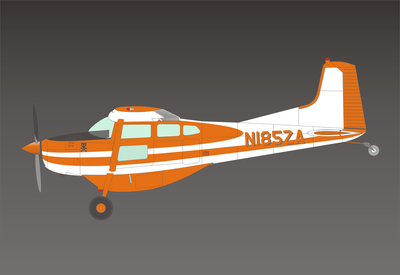 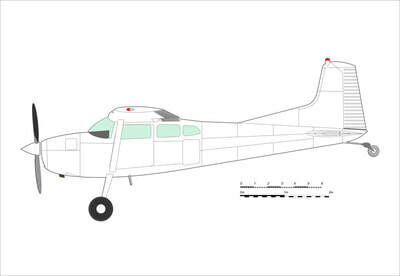 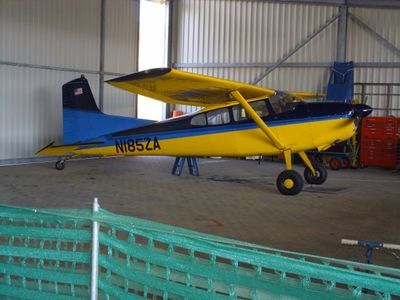 ​N185ZA is a Cessna 185E, built in November of 1965, as serial number C185-0983. 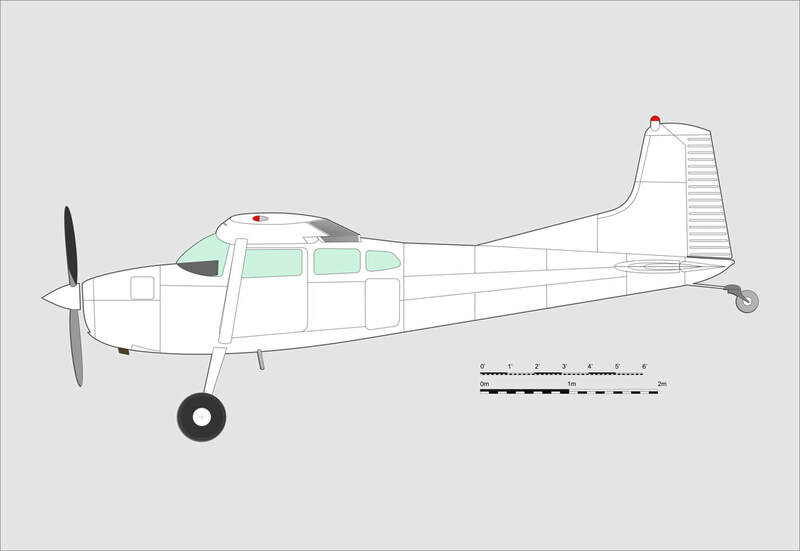 The 185E was the last "non-A" model (the next model was A185E). 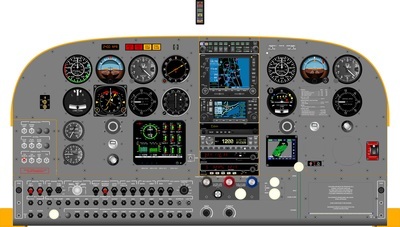 The E-models were to be the first models to be powered by the IO-520-D. 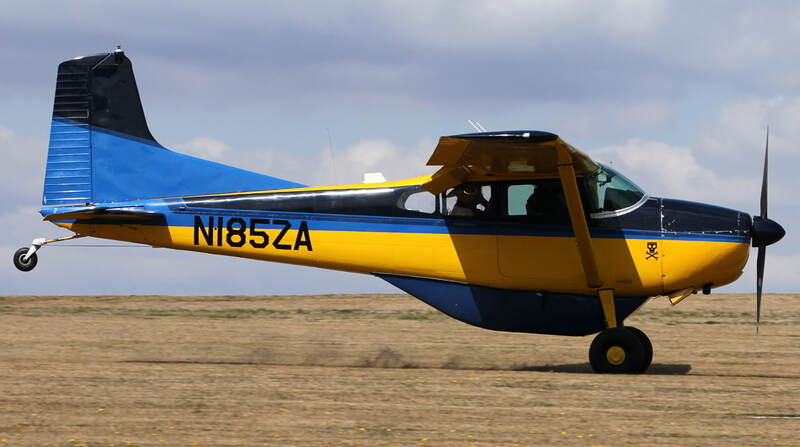 Although E-models were seen as "1966" models, N185ZA was built in late '65 and is one of the few 185E aircraft still powered by an originally installed IO-470-F just months before the transition to the larger engine. 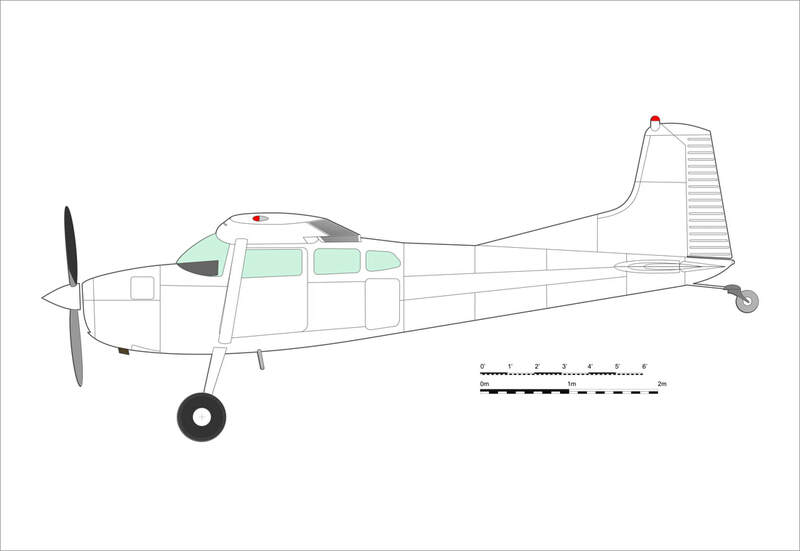 A total of 181 E-models were built (serial numbers 0968 through 1149). 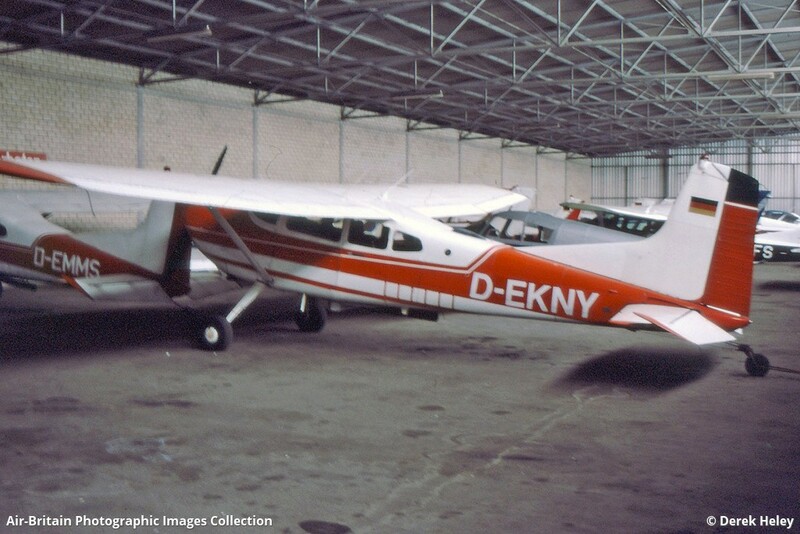 The aircraft was sold to Germany in late 1965 and was flown in the Duesseldorf area as a photo aircraft "D-EKNY" together with its sister ship "D-EMMS" for 31 years by their original owner, Walter Schneiker. 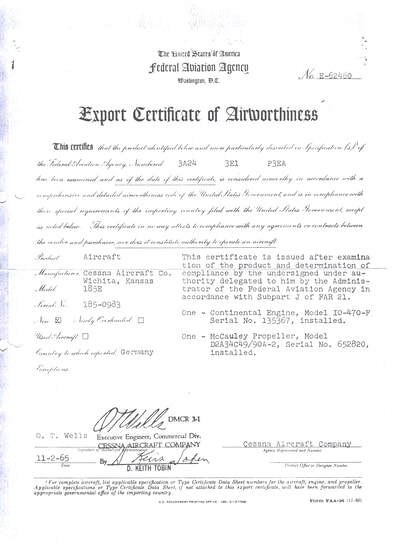 The Export C of A states November 2nd as certification date. ​Sold to their new and second owner, Armin Buergel in 1997, D-EKNY and her sister ship were shipped to the US and given a restoration (including engine and powerplant overhaul) by Ray Ward (A&P 2217371). 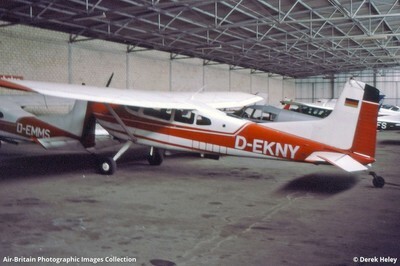 D-EKNY returned to Germany as N185ZA and was occasionally flown by Armin and his wife. At that time it lived in a hangar in Walldürn, EDEW. 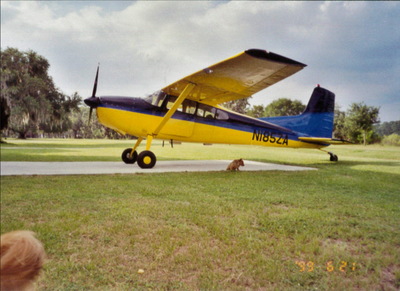 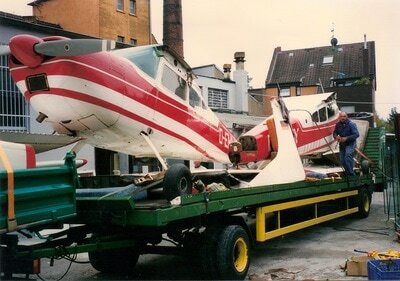 ​I bought the aircraft from his estate after Armin's death in 2009. 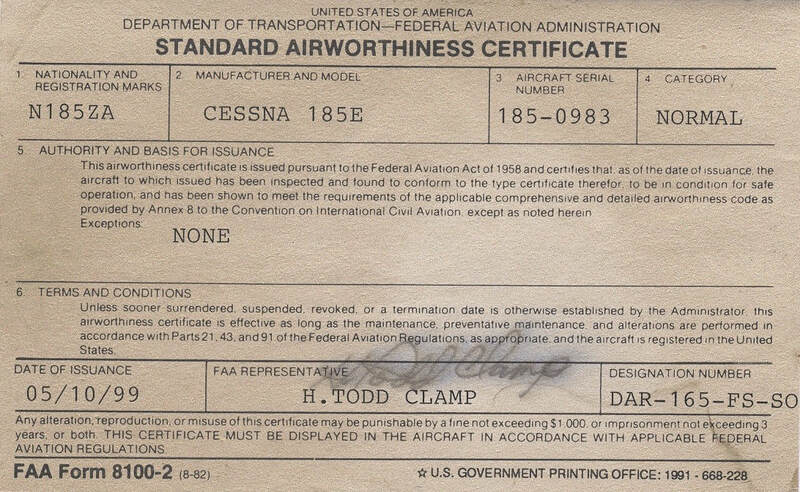 I am thus the third owner in 47 years (as a matter of fact, I am the beneficiary of an Aircraft Trust, since I am not a US citizen). 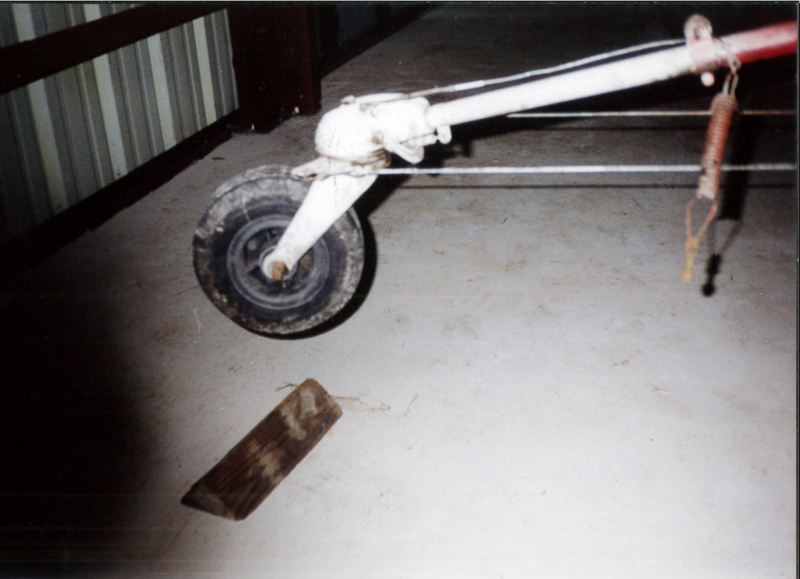 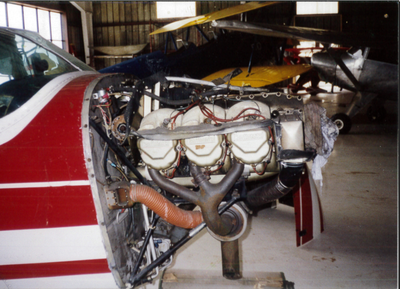 The aircraft came with an original centerline camera well, which is still in place although now riveted closed. 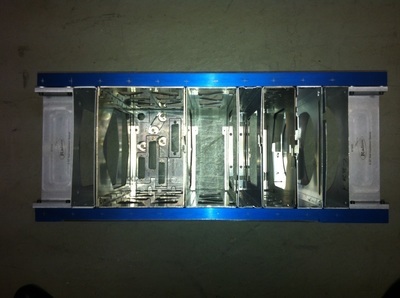 This well means a number of additional pulleys that route the fuselage control cables around the camera well. 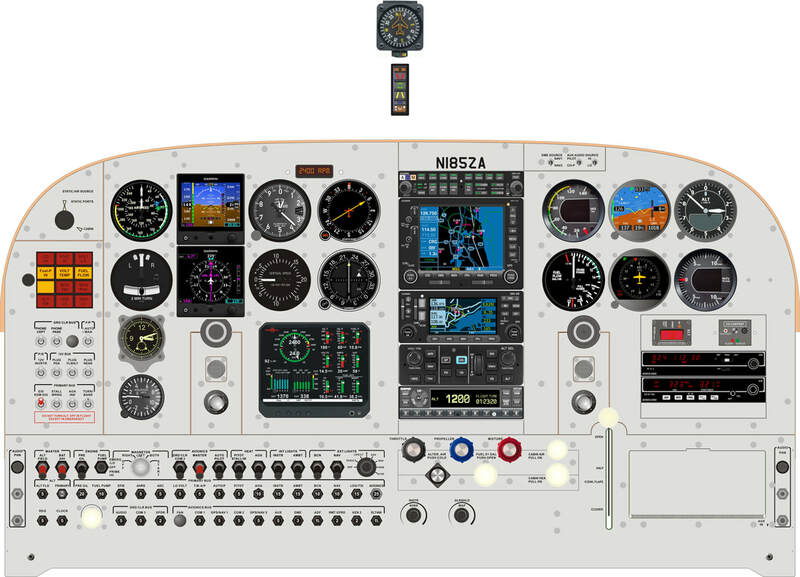 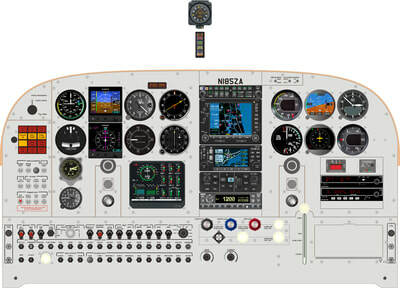 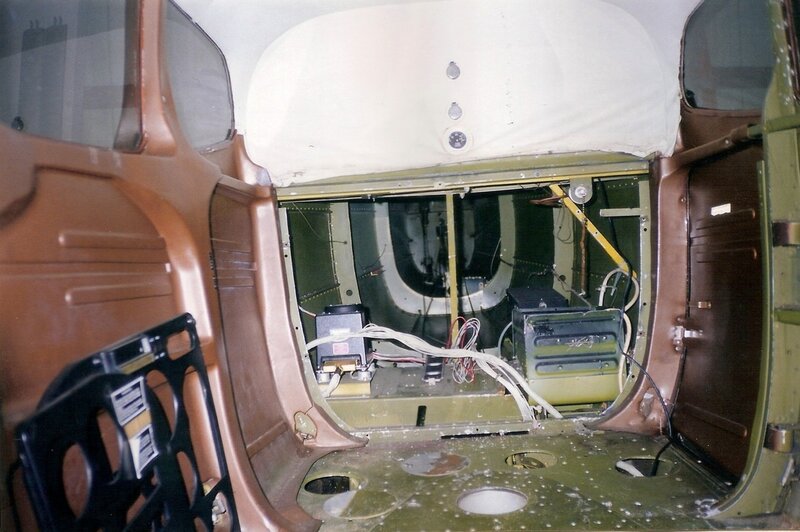 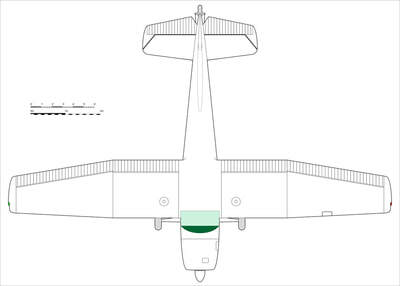 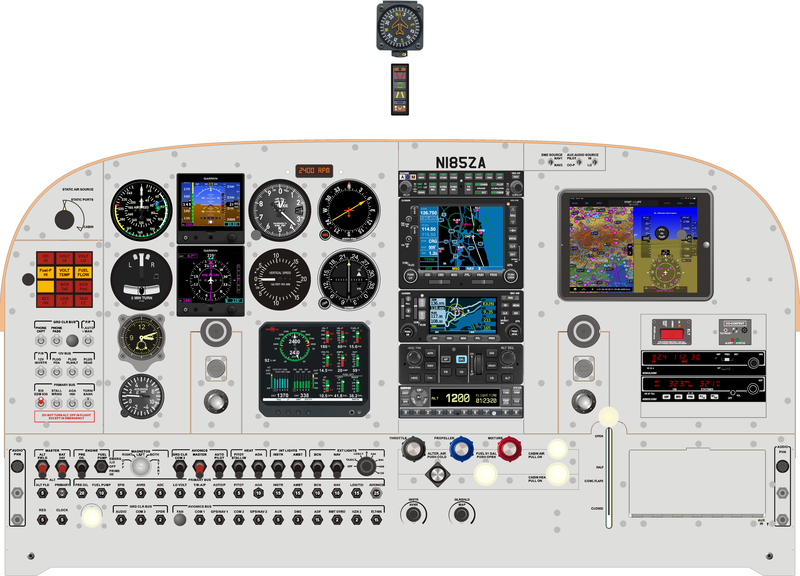 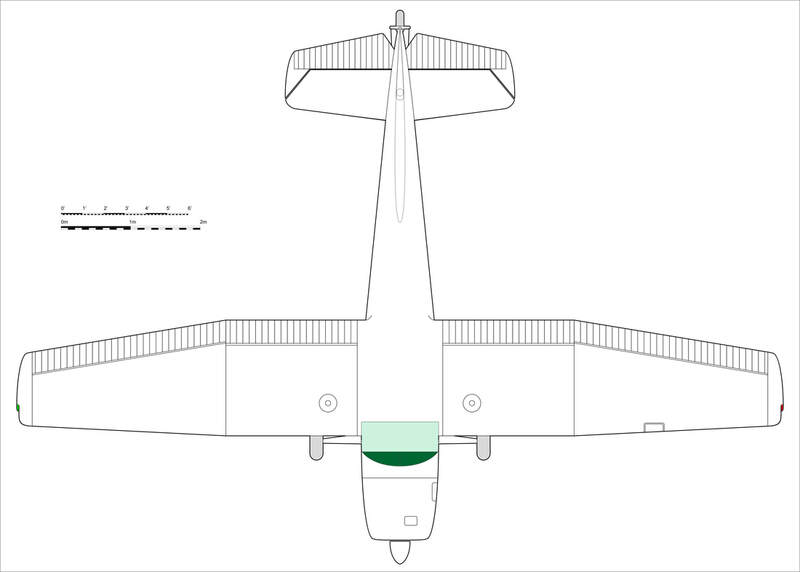 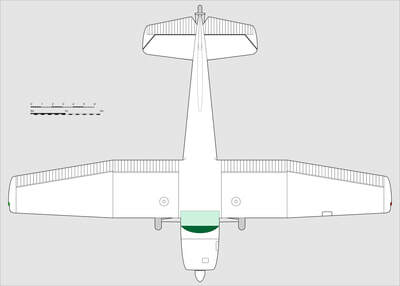 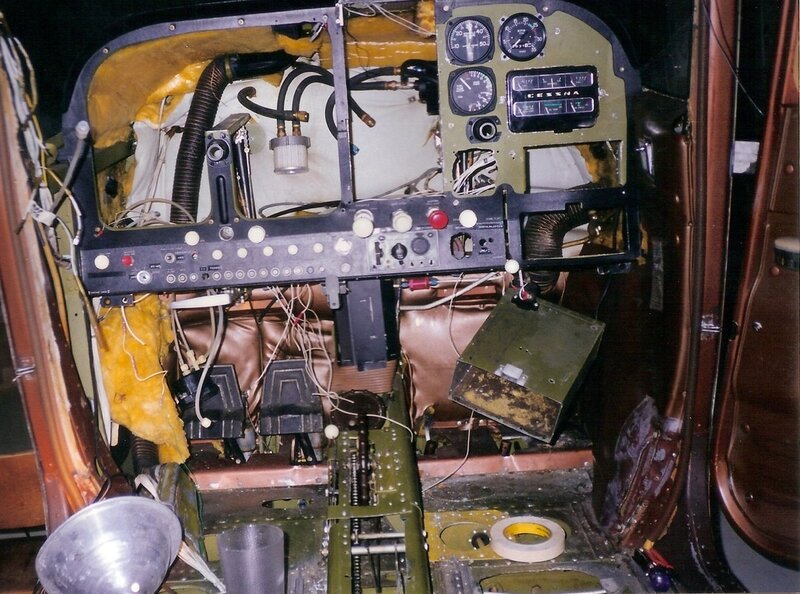 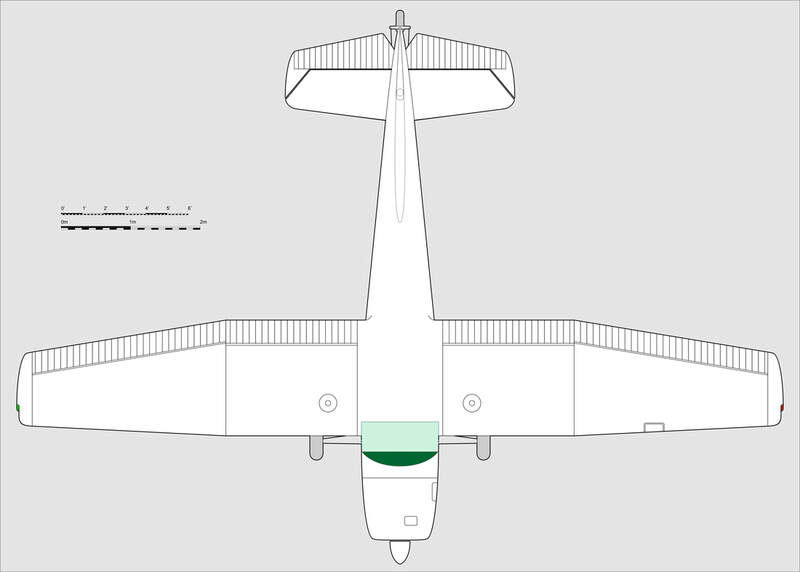 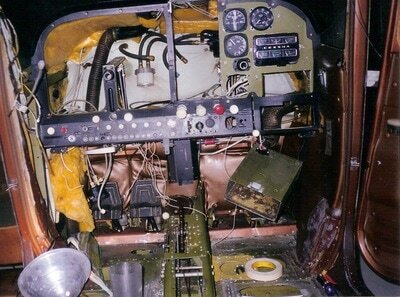 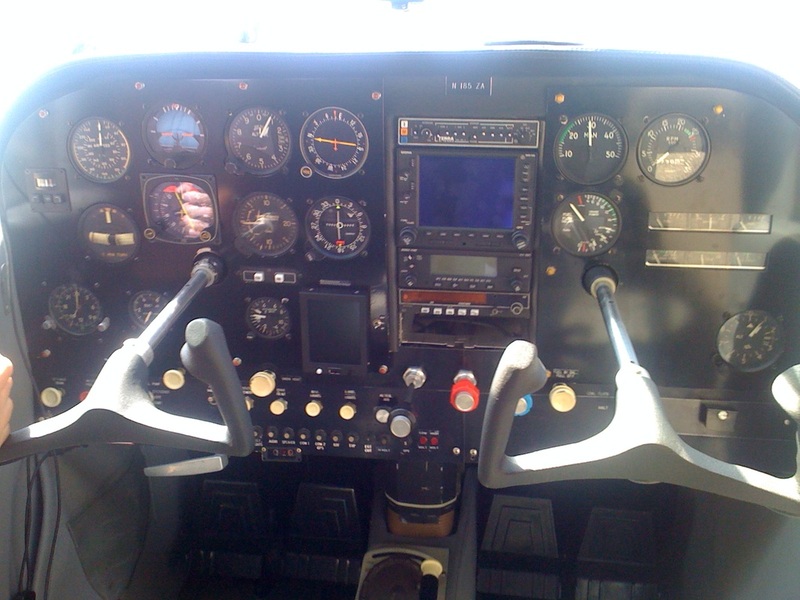 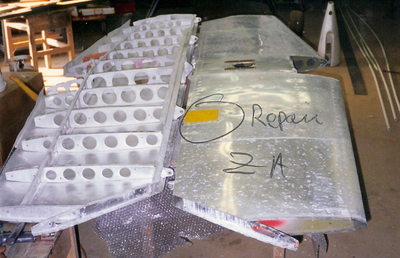 The original Airmatic auto pilot was removed at overhaul 1997-1999. 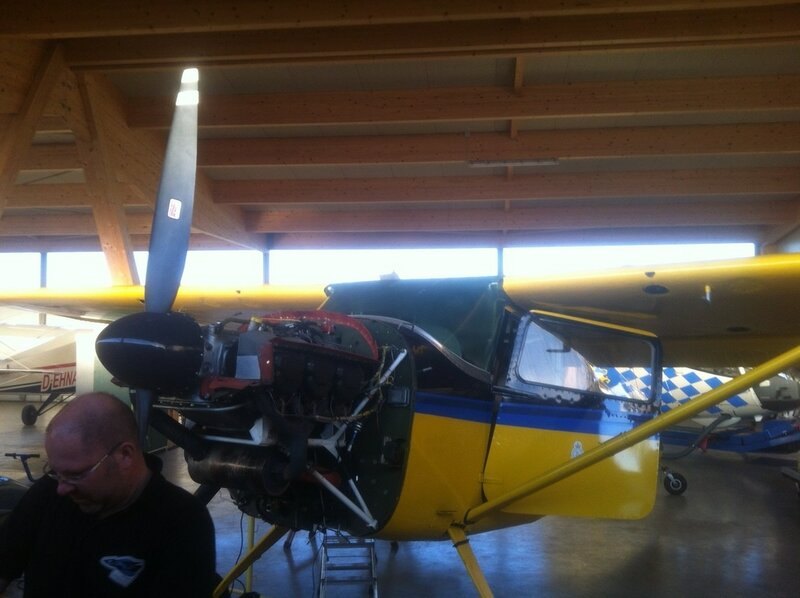 At the same time the aircraft was converted to 28V. 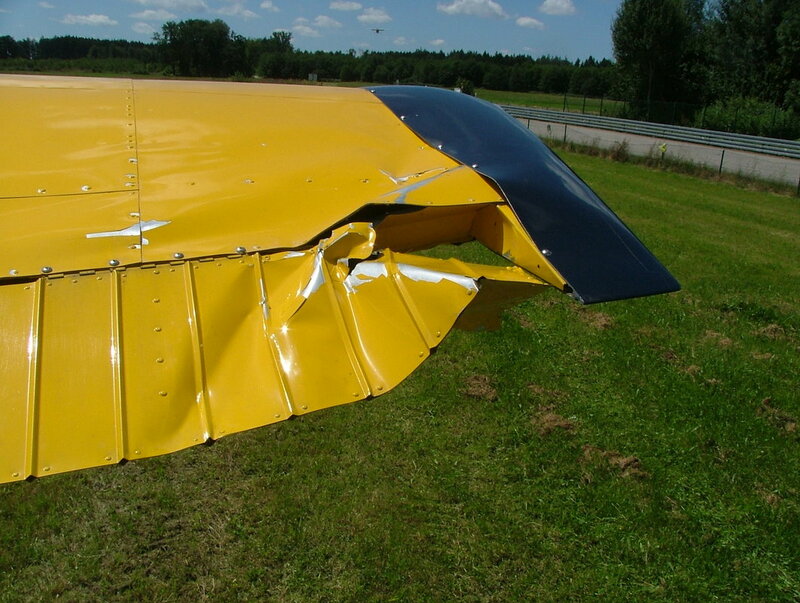 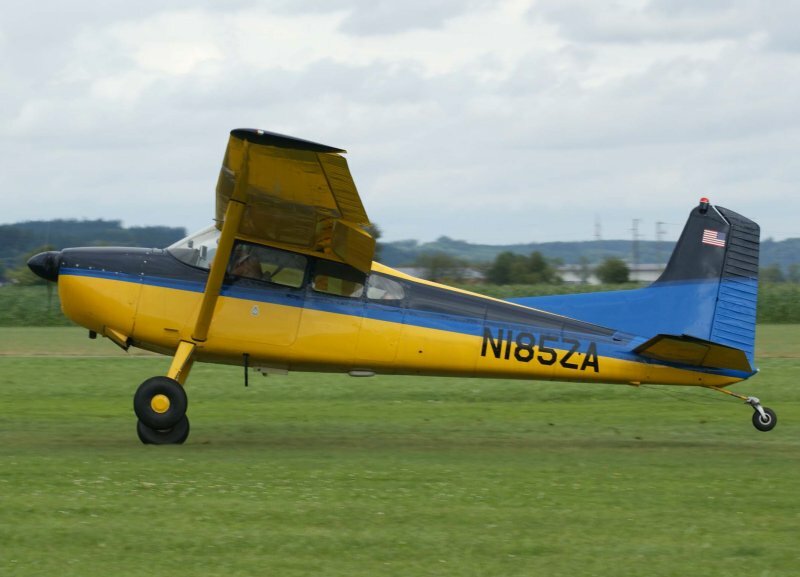 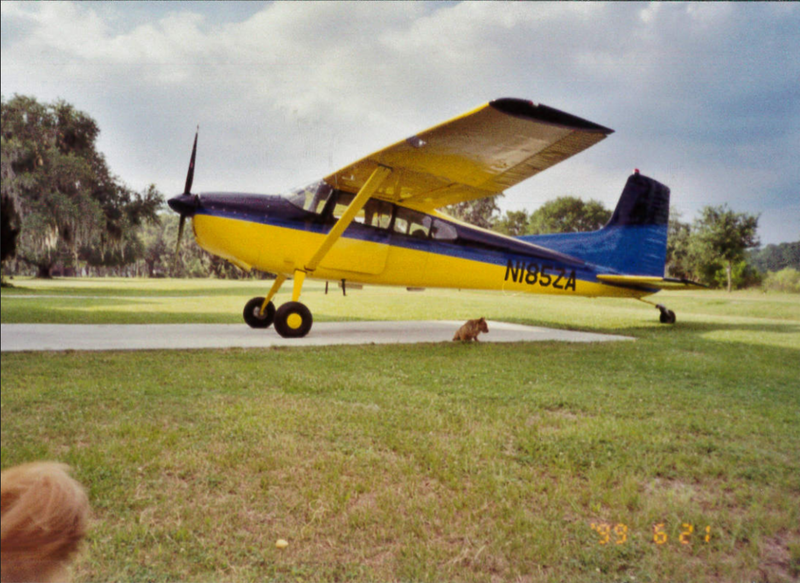 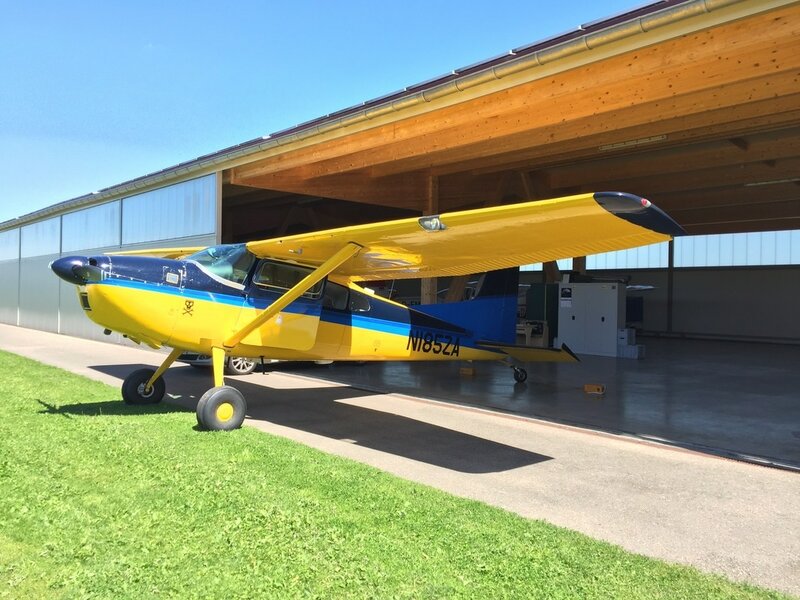 ​The aircraft is damage free except for a wing tip repair following an almost-ground loop, induced by an off-center tailwheel locking mechanism. 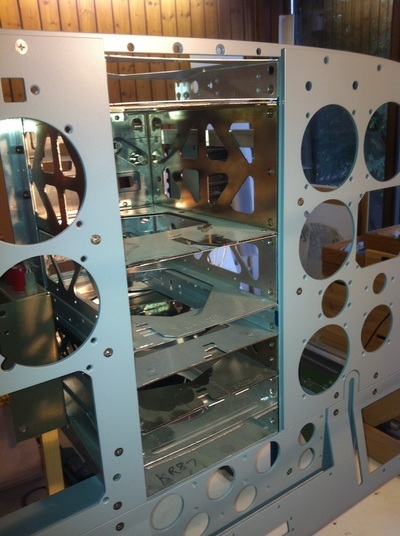 The repair was expertly performed by Christian Thum of "Broken Wings". 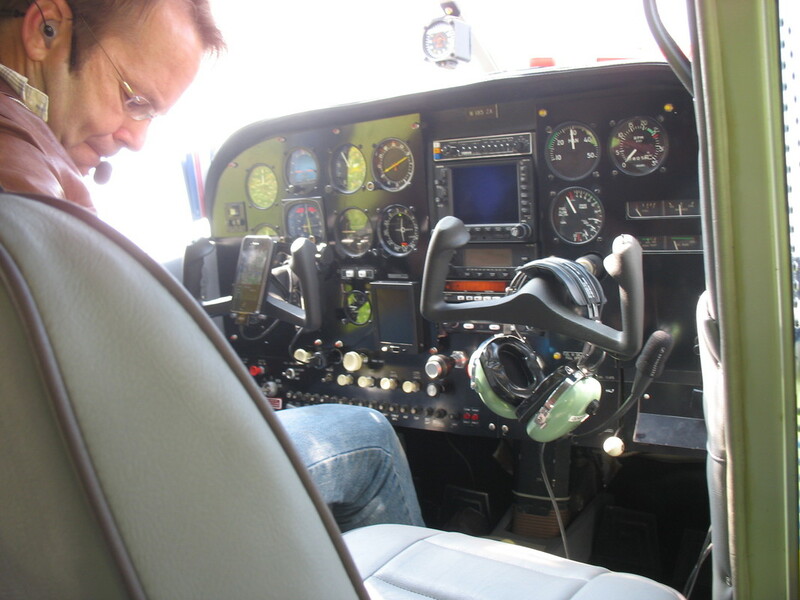 As they say about tail-dragger pilots: you have either experienced a ground loop or are yet to experience one! 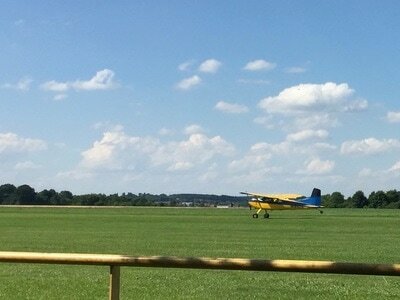 I am hoping this was mine. 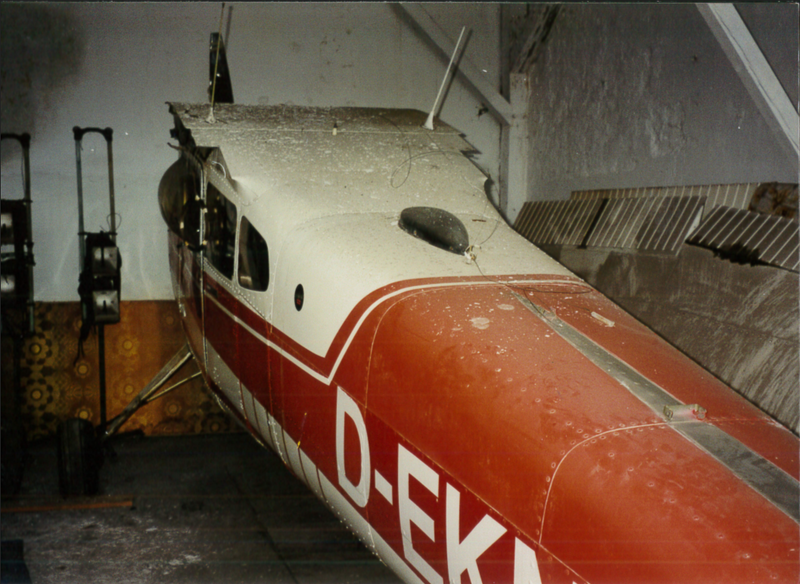 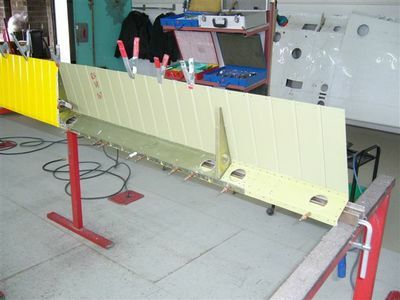 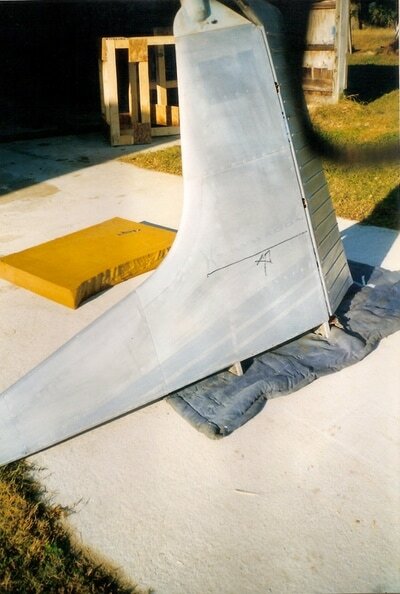 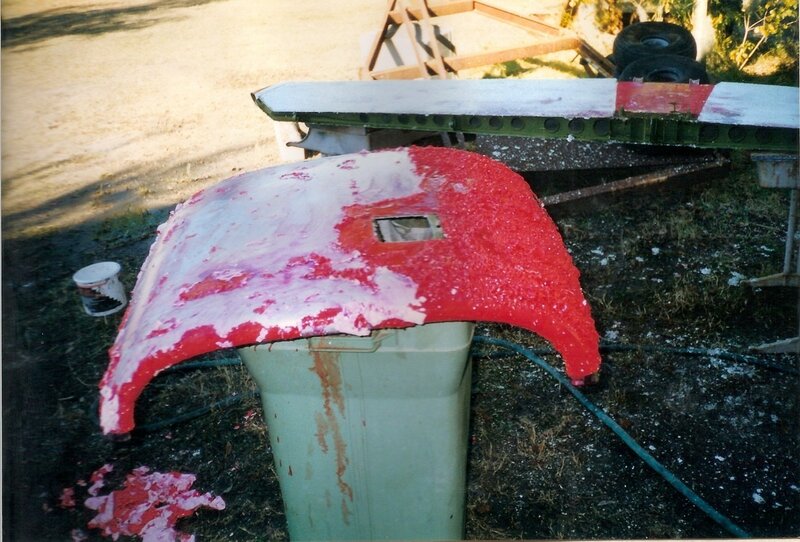 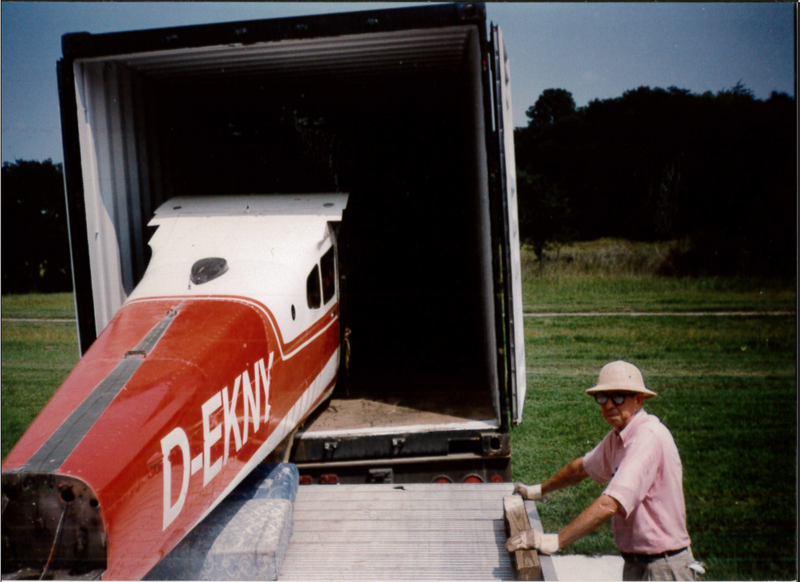 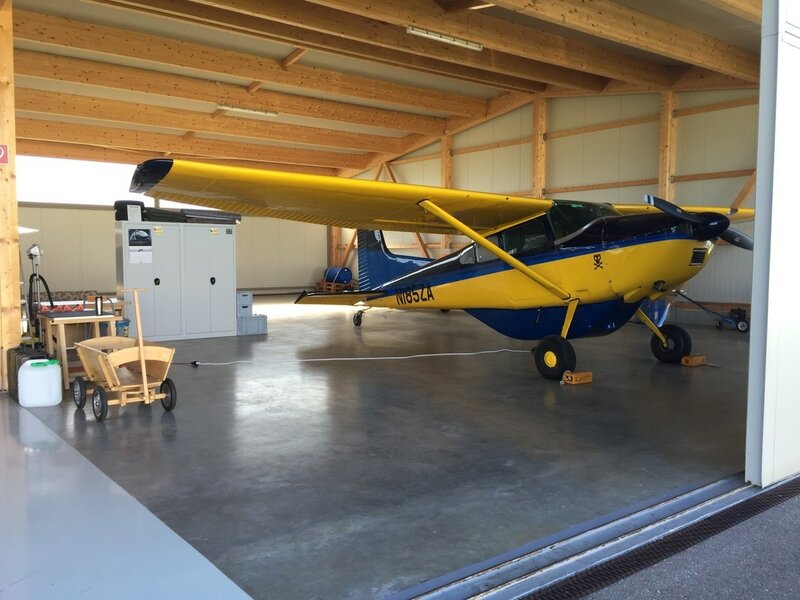 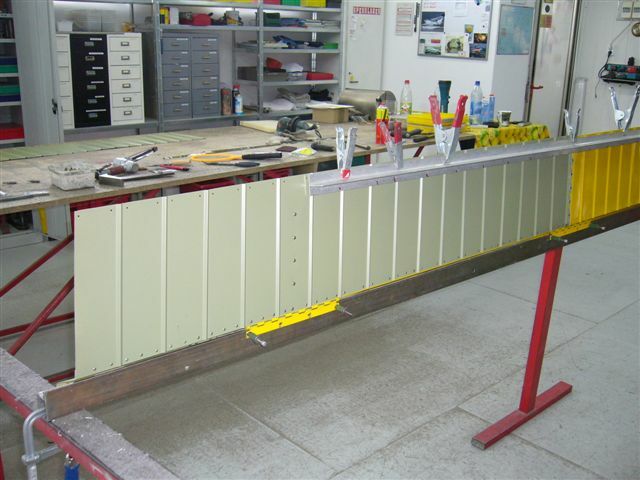 These photos taken at Jesenwang (EDMJ) with Cessna's original Cargo Pod! 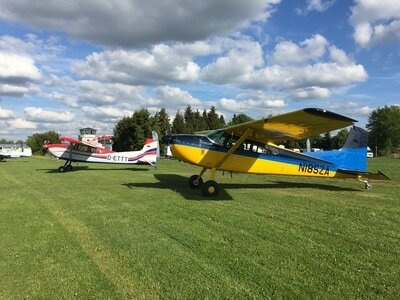 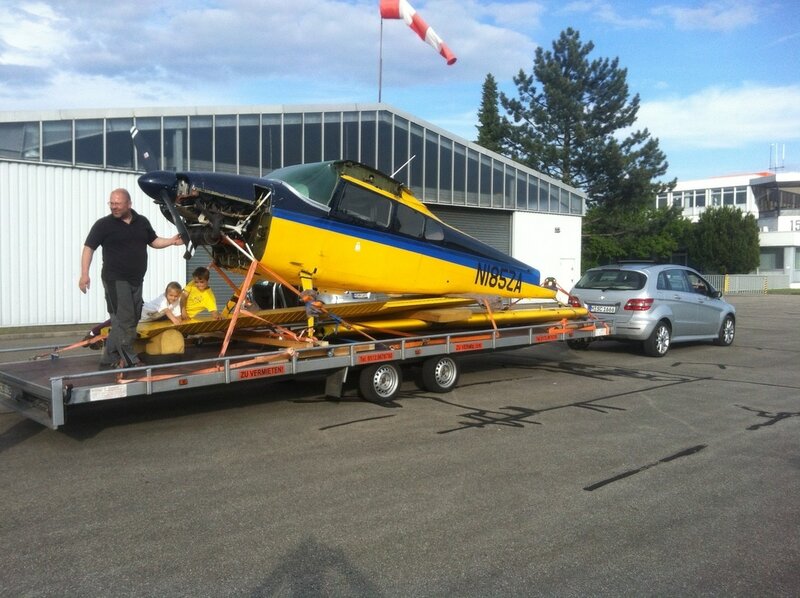 ​A happy home for two years - and some expert flying lessons/advice by GROB Test Pilot Ulli Schell! 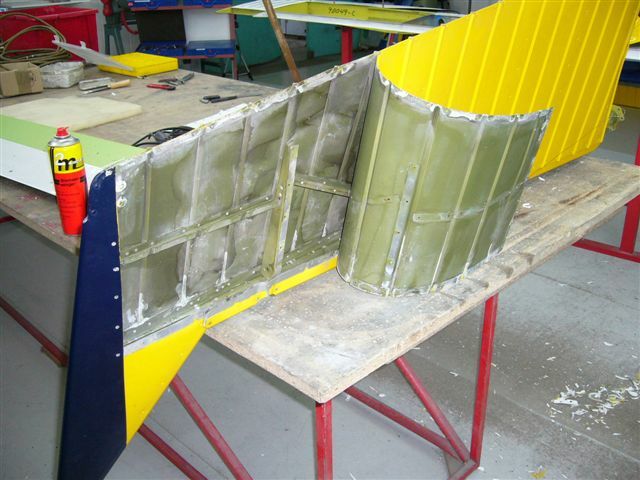 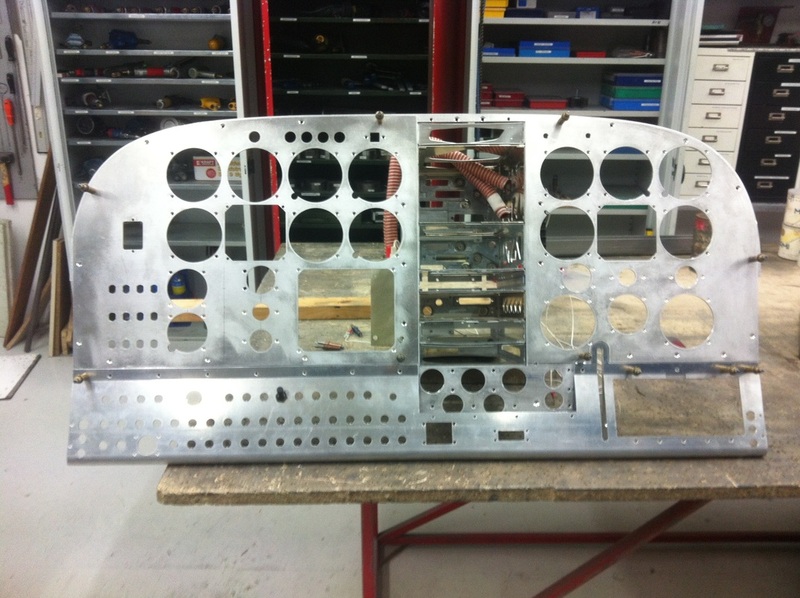 Started on work for a new instrument panel here ... but had to move, due to workshop shortage at GROB. 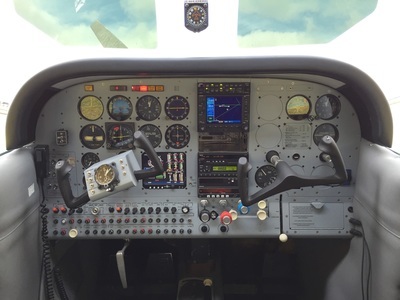 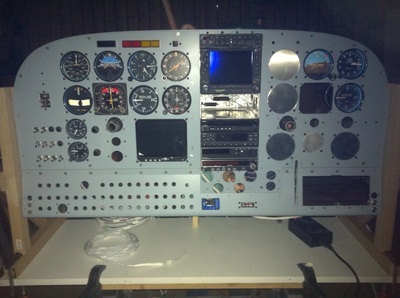 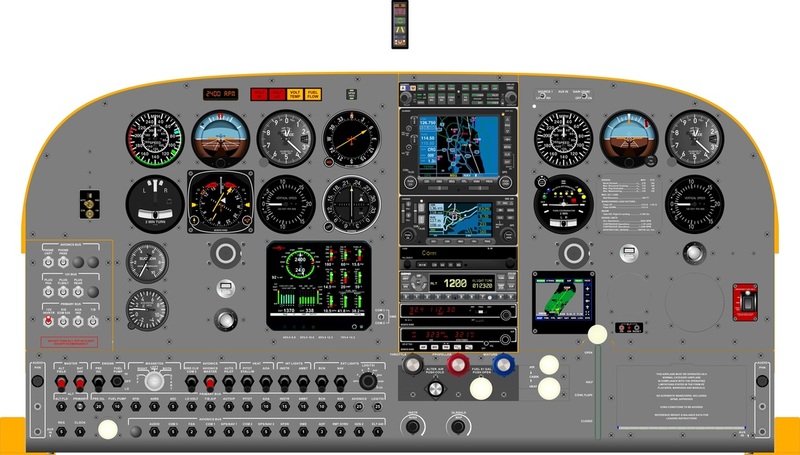 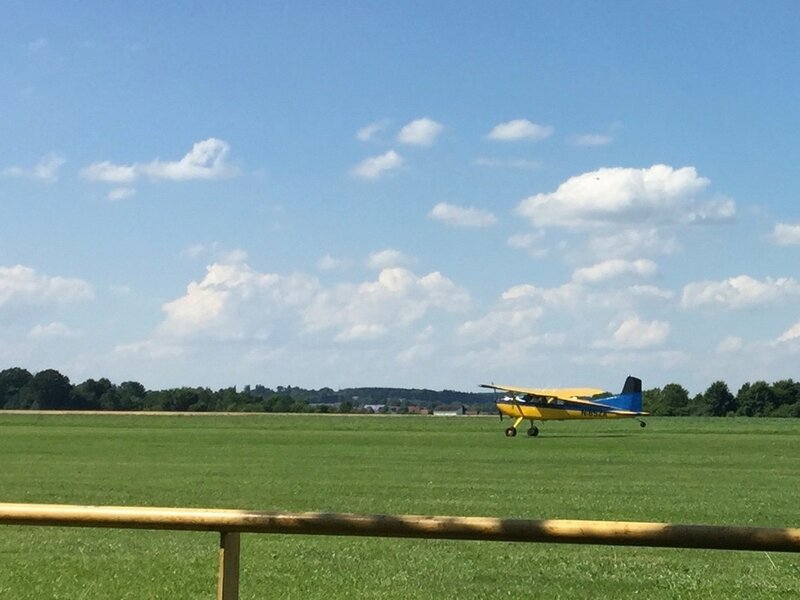 ​Back together again ... and "first flight" with the new instrument panel on July 1st, 2016. 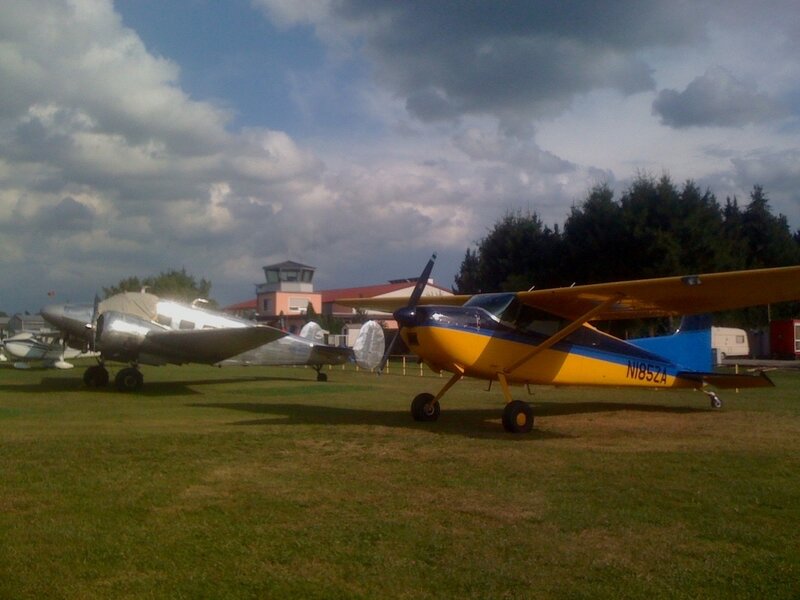 ​As you can see, birds of a feather flock together! 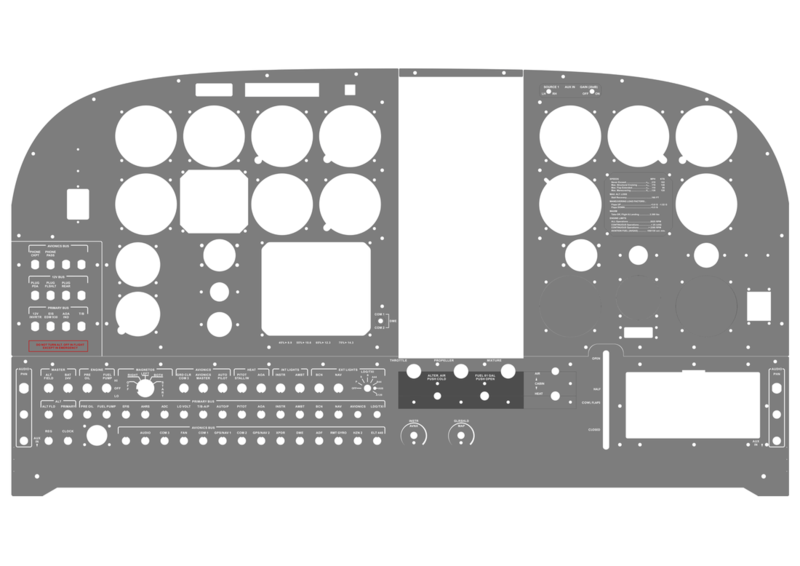 Don't like my designs?  Want to do better? Or maybe you just want to dabble in your own scheme-art: here are a few pdf-files that will let you experiment a bit. 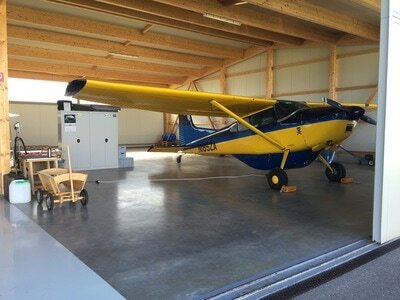 Let me see what you have come up with! 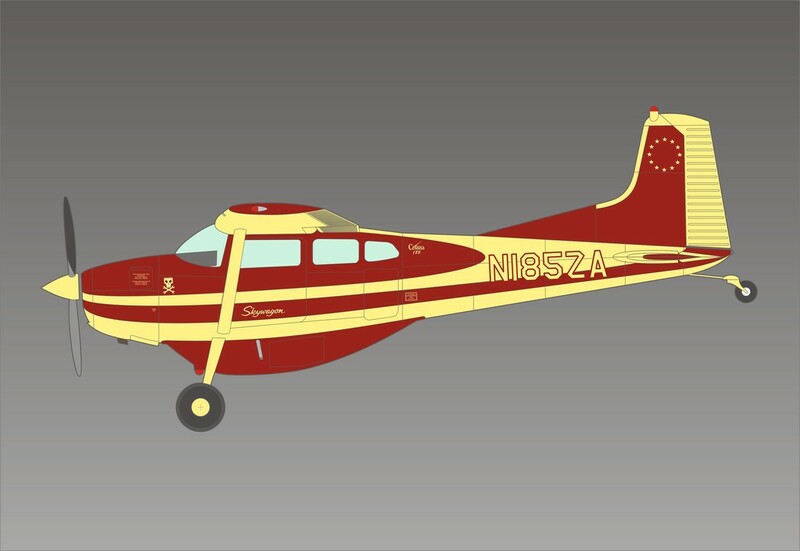 I will post your designs here (paintschemes@hubair.de)! Want to thank me for supplying these templates? 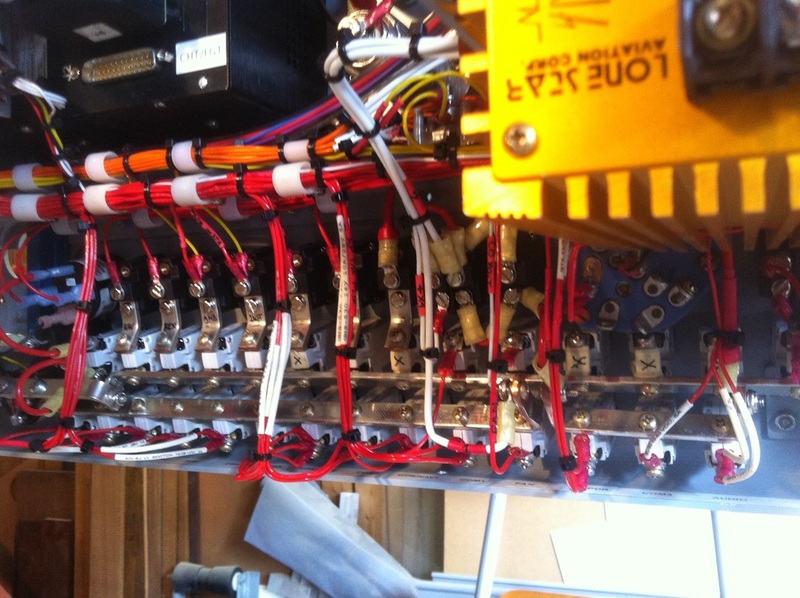 Like my page (bottom) ... and drop me a line per mail.